Do you feel the world is safer today than in, say, 1989? If not, you agree with us, three politicians from three parties: a Scot, a South African Welshman and an Englishman of Welsh and Irish descent. We certainly do not wholly agree with each other on how to make the world a safer place. However, we are as one that, for the people of England, Northern Ireland, Scotland and Wales, security and opportunity are paramount in an unstable world. Yet the United Kingdom, which for centuries has proved a safe and prosperous haven for all its people, is under threat. Scottish independence would leave Scotland and everyone else in the UK much weaker. Our four nations are inextricably intertwined. Disentangling Scotland from the other three would be a contentious process that would lead to the erection of barriers in an age that aspires to tear them down. It would also diminish our collective international influence. 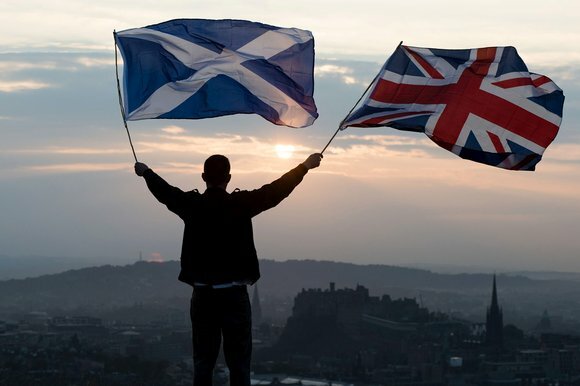 Instead of the false dawn of separatism, it is imperative we consider how to make the UK work better for all its constituent parts. The SNP has pressed for changes to the original devolution settlement, and the three main UK parties have promised to honour many of these. An increasingly insistent drum from Wales beats for more powers. The prime minister has accepted the need to satisfy those demands, but has also recognised that many in England expect him to answer the “English question”. The result has been a rush of reform proposals, giving an impression of panic. Yet this has still not satisfied the Scottish nationalists. Failing to make the case for the United Kingdom, and failing also to make a coherent case for how it might be reformed, has only strengthened the separatists. The latest example is the saga of English votes for English laws. This is an attempt to answer the famed West Lothian question: why, when the Scots, Welsh and Northern Irish determine many of their own laws in their own devolved legislatures, should they also be allowed to vote in Westminster on equivalent English laws? The government has elected to make a substantial constitutional change to deal with this problem by amending the standing orders of the House of Commons rather than through legislation. This has provoked the House of Lords into intervening through a debate initiated by Lord Butler, the former cabinet secretary. Peers are by convention against interfering in this way, but here they felt they had no option. The English votes for English laws provisions in effect create two classes of MP, making the Scots, Northern Irish and Welsh seem less welcome than they are — grist to the mill for separatists. They also make it difficult for article 9 of the Bill of Rights — which covers freedom of speech in parliament — to apply, which risks opening parliamentary proceedings to litigation. Perhaps worst of all, the use of standing orders as a vehicle for change makes our constitutional arrangements even more impenetrable. The bones of our constitution should be clear and understandable to any interested citizen, not just legislative anoraks. We have watched this saga with an increasing concern shared by many others who value the United Kingdom. It is a concern with a renewed sense of urgency since last week when Nicola Sturgeon talked of including the promise of another Scottish referendum in the SNP’s 2016 manifesto. We and others have therefore come together as the Constitution Reform Group to argue for a new Act of Union. We are retired cabinet ministers, practising politicians, former parliamentary officials and civil servants, lawyers, journalists and academics. We believe the new act should be the product of a careful consultative process that aims to build a broad-based consensus around a new constitutional settlement, which would guarantee the rights and autonomy of each constituent nation and region within a reformed UK. We hope to be able to produce a paper in time for the Scottish, Northern Irish and Welsh elections in May 2016, putting forward more detailed options for the provisions of a new act. Time is at a premium, for the UK is under threat. Should enough momentum build in support, we hope the government could be persuaded to adopt our approach and pick up the baton. We have been encouraged by the response received so far, including from Scotland where the majority for the Union has been silenced. We hope our fellow supporters agree with us that the United Kingdom is a cause worth fighting for, if only to help us all to survive and prosper in our increasingly difficult world.